Hello to Morningstar! She’s a new author on the rise! Let’s start with some Q & A to get to know her better. Author Amy Wasp asks – What is your favorite trope to write and why? I’d have to say friends-to-lovers is. But mine usually start out not friends then it builds to friendship as we watch. I like the buildup of the relationship as it goes from nothing to friends then bringing them past that initial connection to more. Most of my stories written and to-be-written are based on that idea. I do have a few down the pipeline that will be insta-love (PRN) and friends with benefits, but most will still have that friendship at its core. Author Jeff Adams asks – What’s your favorite part of the writing process and why? Characters, definitely. They are the basis that everything else is based on and every little detail about them creates this story. Plus, as a people watcher, I find building a character fascinating and so much freaking fun! I write so many notes about every bit of who they are from name to age to favorite food and so on. By the time I get to writing the story, I know them inside and out. Author TM Smith asks – What inspires you to write? Love and happy endings. I love giving others happy endings. Showing that men can feel as deeply as women, that gender doesn’t stop that soul deep connection that can be created between two people. But also because it settles a part of me that runs around crazy most of the time. It’s like jumping into someone else life for a bit to live this fantasy life of happy feelings. Well, …not all happy feelings LOL…at least not at first. In my first book Letting Go, which is currently being re-edited, I write Alex who has panic attacks, and as someone who has lived with them most of my 40 years of life, it felt great to put him out there and show people that they’re not alone in feeling like that. Author AE Via asks – What career would you have if you never would’ve published your first book? As someone with two careers right now, I still would be doing my designs. Creating book covers is tedious and hard but so freeing that I couldn’t ever stop doing it. Both of them taps into a creative side of me that the other doesn’t but writing fills a place that all of the creative hobbies I’ve tried and had all my life could never fill. Author Lynn Michaels asks – How do you balance being original and giving the readers what they expect/want? I think since my stories are more character based I don’t really think about what readers want. That may sound bad, but I fully follow what the characters want. My last book took me months to write because I suddenly had a fear that my readers wouldn’t like who the guys ended up being. How they didn’t fit their expectations and took some friends to tell me I have to ignore that to write who the characters truly are and not what readers expectations might be. But as a reader myself I think my stories are inherently geared toward what readers want because they are what I would read. Author JR Barten asks – What have you done as a writer that you are most proud of? Just publishing itself. As all authors know the element of writing is freaking hard enough. The fear can be crippling if you let it be because you are basically putting your heart into words and exposing it to the world. That’s never easy, and as someone who lives with anxiety, publishing is an achievement. Author Morningstar Ashley asks – What genre and trope would you like you write that you haven’t yet? I want to write a paranormal. It scares me because world building and making things unique is always something that you try to achieve to give the readers something, in whole or part, that they’ve never read before. I do have a paranormal fantasy series that I’m starting after GRL, but I’ve already started the building of that world. Some others I’d like to write is an action romance story which I already have a story idea just fearful of the action parts of those stories since I write regular contemporary books. Author Alexa Land asks – What are you working on now, and when can your readers expect it? My newest release was put on September 7th, Risking It All which was book 2 in the Begin Again series and a follow up to A Different light. As I mentioned before it was a long time coming. Right now, I’m working a story called Undeniably Him about a small-town Texas guy that goes away for college and falls for his roommate, but a tragedy rips them apart then fate brings them back together years later that will hopefully be out in November 2018. After that, as I mentioned above, was the paranormal fantasy series (2 books so far) billed for early part of 2019, then an F/F story in my Begin Again series, then fitting in the re-edit to Letting Go. Author Deanna Wadsworth asks – How do you come up with your character’s names? Author K-Lee Klein asks – Do you usually have only one project on the go or do you multitask between stories? Typically, only ever one story at a time but this time around I do admit to writing my contemporary book and plotting/building my paranormal fantasy book so who knows what that’ll do to my writing in the future. Author Jessie Gin asks – What do you think makes a good story? The ability to make the reader feel. To experience emotion so strong that they hang on through the good and bad parts of the story. You want to connect emotionally by feeling what the characters feel because that gives them the connection to that person which I think is the most important. And how you do that really does depend on the story. Author Wade Kelly asks – What is your suggestion or piece of advice to new and upcoming authors? Write to write not to publish. If you start thinking about all the steps you need to do to publish a book and the fear of publishing a book, you can knock yourself down before you’ve ever finished writing. Writing always has to come first. 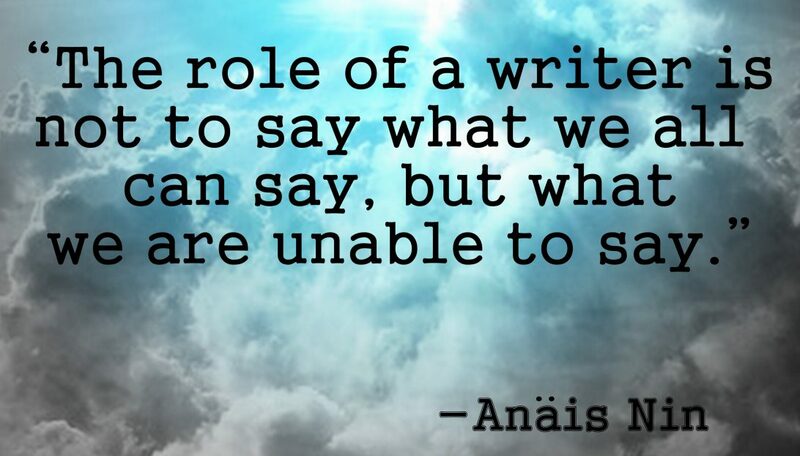 Also, an author friend once told me to write every day. Write every day so that you train your brain that it needs it even if it’s only 200 or 500 words those are words you hadn’t written the day before. Also, find your people within the community. There are some wonderful people out there who are more than willing to give advice and support whenever you need it. Never be afraid to ask. After a lifetime of trying to get people to realize her first name wasn’t Ashley, Morningstar decided the best way to settle the debate was to put her name on a book cover. Now she finds the accomplishment of publishing so satisfying her mind won’t stop creating stories of love across the spectrum of LGBTQA+. Latest Release – Risking It All! Danny Keegan is a laid-back man with simple tastes and an even simpler life. He adores the little town of White Acre where he grew up, he loves his parents, and he enjoys his uncomplicated life. He’s always told himself the fact that he’s a closeted gay man in a conservative, parochial town wasn’t an issue and coming out of the closet wasn’t necessary. But with the addition of Jaden in his life he realizes as happy as he is, he could be happier, and the future of a love of his own doesn’t seem so out of grasp as it always had. When Jaden and Danny meet, their chemistry is undeniable, but playful flirting doesn’t mean anything. They start spending all their free time together, and what began as a simple friendship quickly turns into something much more than either saw coming. But, Jaden carries a secret that could end it all before it even begins. And though Jaden is scared, to tell the truth, and risk everything that has come to mean so much to him, he knows that he can’t go on without laying himself bare, leaving Danny with an important, life-changing choice to make. His content little life or what could be the love of his life.